Mike Rowe, Executive Producer and Host of the TV show Dirty Jobs, partnered with ZERO for this hilarious video. Mike got an on-camera prostate exam, it went viral, and got more than 80,000 views! What makes us smile the most is knowing how many more men will go talk their doctor about their risk. A huge thank you to our community for sharing this with their friends and family and getting the word out to save lives. Haven’t seen it yet? Watch the video on ZERO’s YouTube Channel. Time to Beard Up and Do Some Good! 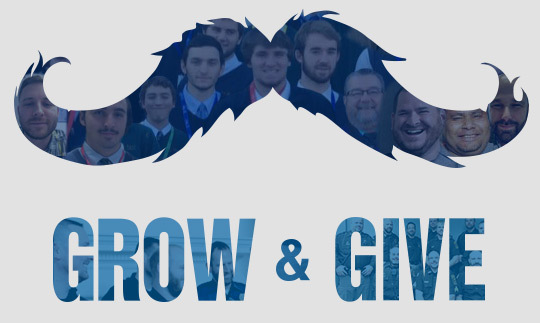 This November, join thousands of men from across the country for our facial hair fundraising challenge: Grow & Give. Whether it’s a little peach fuzz or a full-fledged beard, help make a difference for prostate cancer patients. If you need another excuse not to shave, we’ve got you covered! Ladies, you can get in on the facial hair action, too. Encourage the men in your life to beard up for prostate cancer, start your own team, or raise funds and awareness. This is a great opportunity to create your own Facebook fundraiser and raise funds with your fuzz! Register today for Grow & Give! What do Patients and Caregivers Need? We want to hear from you! Your feedback is essential to help us provide the most impactful programs to save lives from prostate cancer and stop pain and suffering. Please take 10 minutes or less to fill out our online surveys, one is specifically for patients and the other for caregivers. Your input will have tangible results. The last survey we conducted resulted in the creation of ZERO360, a program to help patients navigate the financial barriers associated with a prostate cancer diagnosis. Thank you for helping others who are facing prostate cancer. Take the Patients & Caregivers Survey. YOU Did It in September! Way to go! Your generosity helped us surpass $25,000 raised toward our match for a total of $50,000 to support more men and their families. We wanted you to hear directly from some of the patients you helped. Because of your support, it may lengthen my survival time. I’m really not sure that you will ever know how much it means to me what you are doing. There just aren’t the words to express gratitude for your relentless effort. Thank you for all your support during Prostate Cancer Awareness Month! Interested in learning more about bone health and prostate cancer? Register for our upcoming webinar on Tuesday, October 30, 2018 at 7:00 PM EST and hear from Benjamin Lowentritt, M.D., F.A.C.S., Medical Director of the Prostate Cancer Care Program at Chesapeake Urology Associates. Dr. Lowentritt will address how prostate cancer can affect bone health and what treatments are available both to treat bone metastases and bone loss as a side effect of prostate cancer treatment. 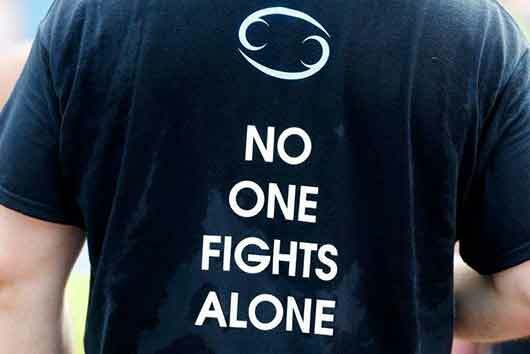 “If you are facing prostate cancer or are yourself in recovery, there are going to be hard times. But you can get through them.” Hear more from Chris Hartly in his blog post. ZERO Connect is more than 1,100 members strong, and growing every day! 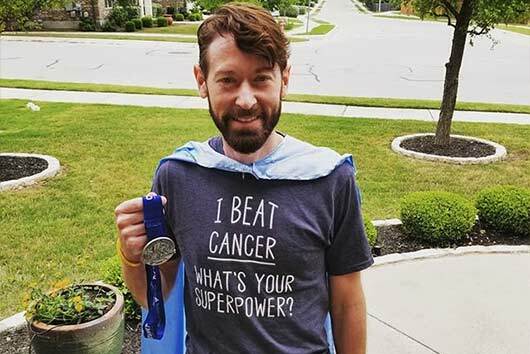 Join a group of patients, survivors, family members, and loved ones to share stories, ask questions, and provide a community of support to others on their prostate cancer journey. Thursday, November 8th, join Janssen for a webinar focusing on a treatment option for non-metastatic castration-resistant prostate cancer. 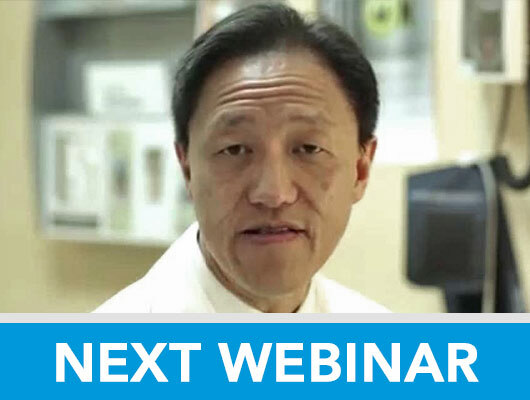 Dr. Alec Koo will introduce this treatment along with additional educational information.